The Macurco GD-2A Hardwired Natural Gas and Propane Detector is a Form C SPDT device with a Normally Closed Trouble output. This device is used for detecting natural gas and liquid propane leaks inside the home. It has a 10 year product life. Buy the Macurco GD-2A from Alarm Grid. The Macurco GD-2A Natural Gas and Propane Detector is a hardwired Form C SPDT Sensor used for detecting gas leaks in residential areas. The sensor is effective for detecting Natural Gas (methane) and liquid propane. It features a built-in 5 dB alarm sounder and has a 10-year product life. The best location for mounting the sensor depends on the type of gas leak it needs to detect. For natural gas or methane, it is best mounted high up, about a foot below the ceiling. For homes that use liquid propane, it should be mounted about one foot above the floor. The sensor is great for almost any room, except for kitchens and bathrooms. Mounting in these areas may result in false alarms. The Macurco GD-2A should be installed indoors only. It should not be exposed to temperatures below 32 degrees Fahrenheit or 120 degrees Fahrenheit. For mounting, a face plate and a mid plate both come included. The LED light on the sensor will appear solid green. This light will turn red when the sensor is activated. A flashing amber light indicates a trouble condition. On the Macurco GD-2A, there is a testing/silencer switch that performs a variety of functions. If you press and release the button, you can have the sensor enter a self-test mode. If you press and hold the button for at least five seconds, the buzzer will activate for two alarm cycles. If an alarm occurs, you can use this button to temporarily silence the alarm. This is also used for silencing during end of product life. The user guide provides more detailed product information. This detector is a powered device. It uses low voltage (12 - 24 Volts AC/DC) power in order to operate. When used with a wired alarm panel, such as the Vista series, the detector can receive operating power from the alarm panel. When powered by 12 Volts DC, it draws 70 mA of current when in alarm. Be sure to include this information when calculating auxiliary current used, and current required for panel battery when used in an AC Loss condition. If you wish to use this device with a wireless All-in-One panel such as the Honeywell Lyric, or any of the other, similar panels, it will require separate power that can not be provided by the alarm panel. It can interface with the alarm panel through a transmitter that supports a Normally Open contact, such as the Honeywell 5817XT or a Normally Closed contact such as the Honeywell 5816, the Qolsys IQ DW MINI Extended-S, or the 2GIG DW10. 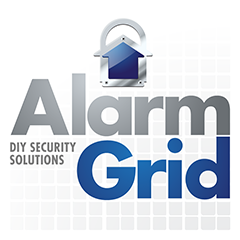 Note: Alarm Grid also offers a Normally Open SPST version of this sensor.